In 1989 the crushing machinery fleet grow with the addition of a mobile track crusher. In 1999, we purchased a chip plant allowing us to produce high PSV (polished stone value) for nationwide road making companies and Local Authorities. Our aggregates carry the CE mark and are subject to regular internal and external testing. 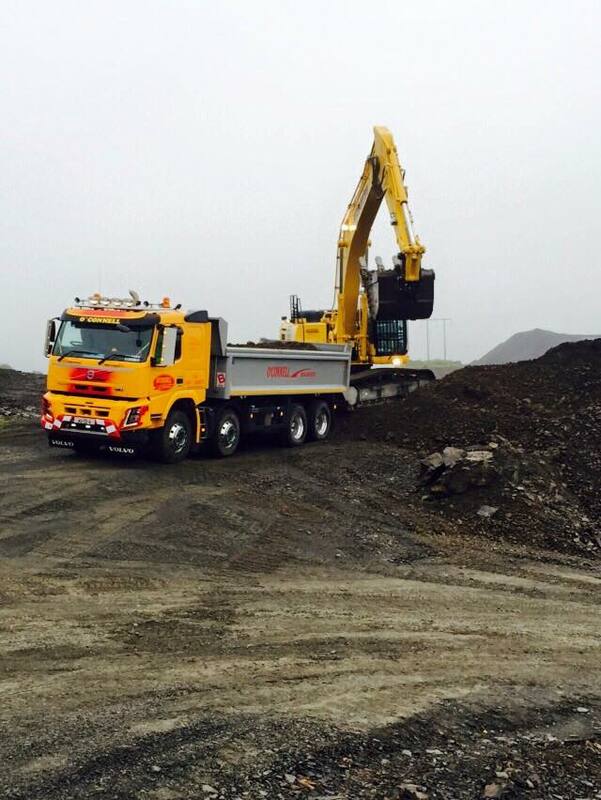 Our truck fleet has grown over the years with our signature yellow and red trucks as we continue to provide crushed aggregates in the limerick and Clare area. Due to the demand our high quality PSV stone we have travelled the length of the country to provide Local Authorities with road making materials. In 2008 the business grew again with the addition of a concrete batching plant with four trucks. In more recent years the batching plant has been added to, to make it more efficient and is now fully computerised. Our growing fleet of concrete trucks are all monitored on a GPS tracking system to allow us provide estimated time of arrival for our customers. Currently the business is managed by Bobby’s sons Richard and Robert. They have been part of the business from a very young age and have gained valuable experience in the quarry and concrete industry down through the years.